This white paper examines the response to the rise in international crime and global terrorism: • The emergence of information fusion centers and information-sharing agencies. • The important challenges they face. • How these challenges can be overcome with the help of analytics. 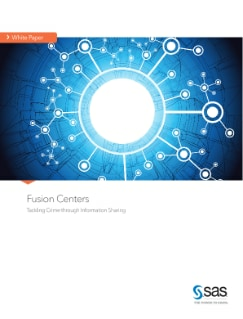 How do fusion centers, or groups of agencies wishing to share data effectively, find a platform that supports their requirements to gather data from a wide range of disparate sources, process it securely and turn it into accurate and timely intelligence?